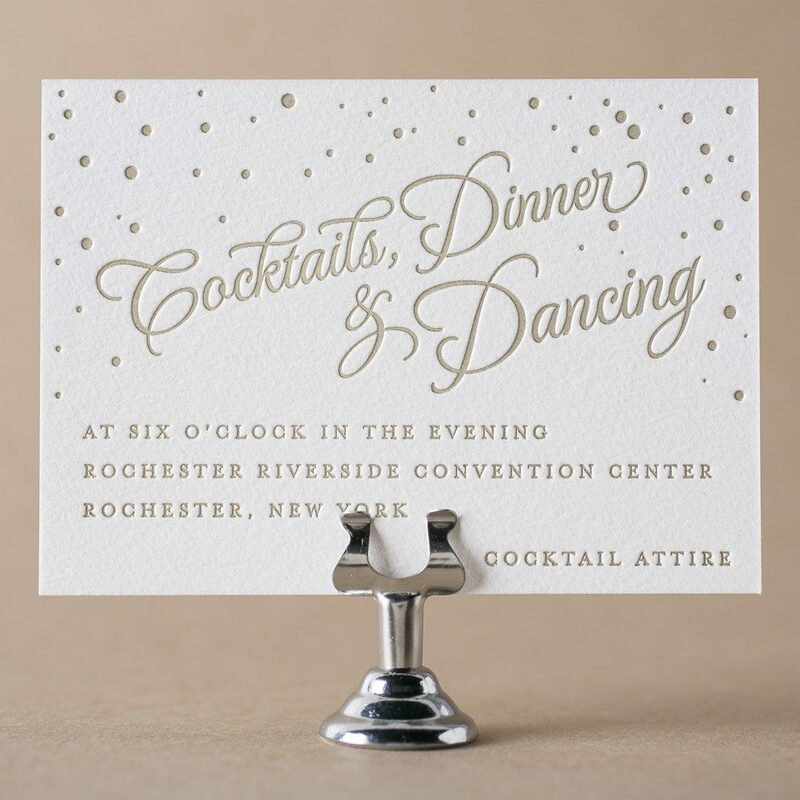 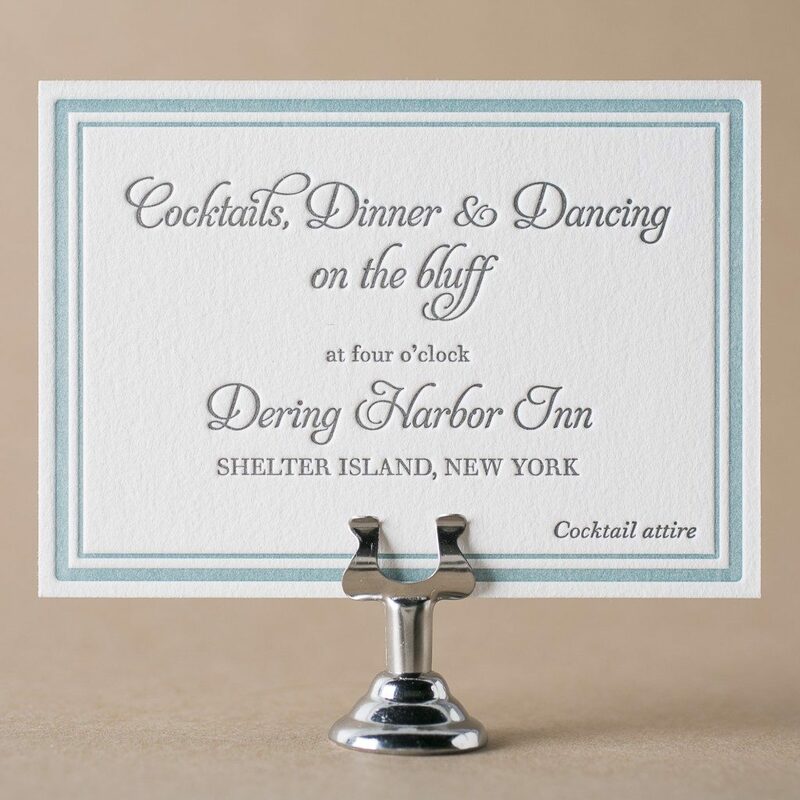 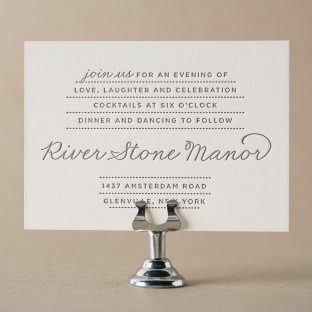 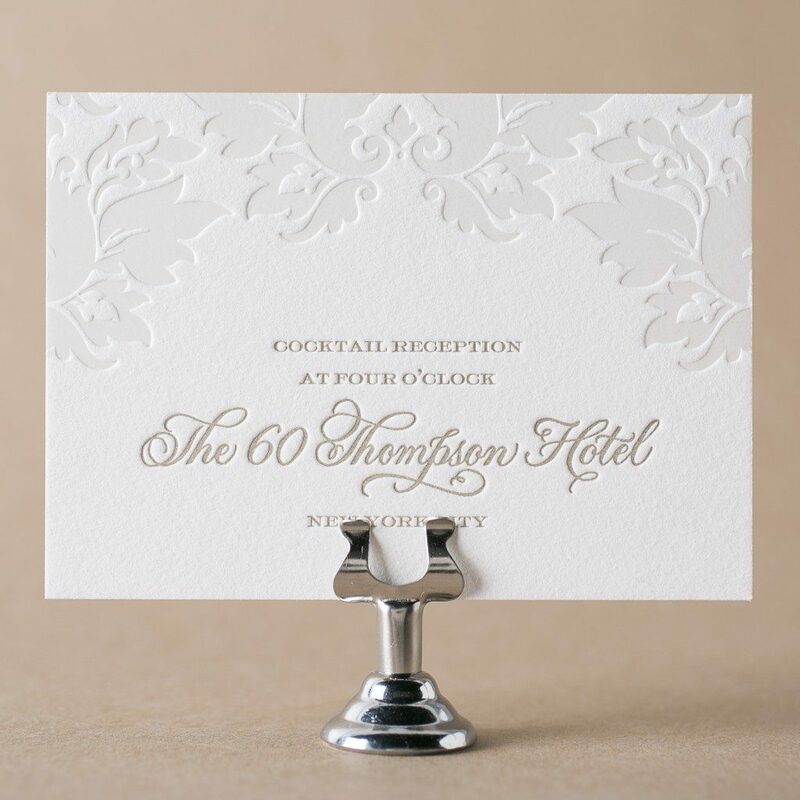 Your reception card invites guests to your post-ceremony celebration. 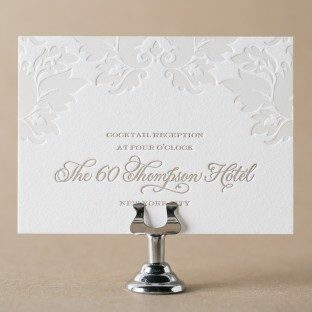 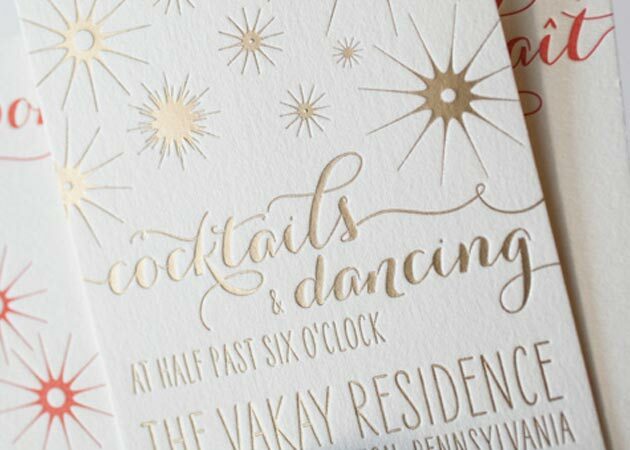 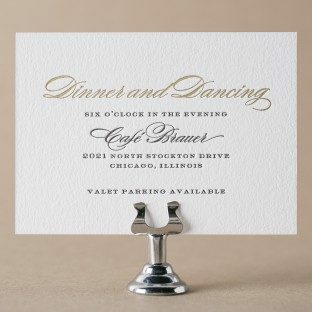 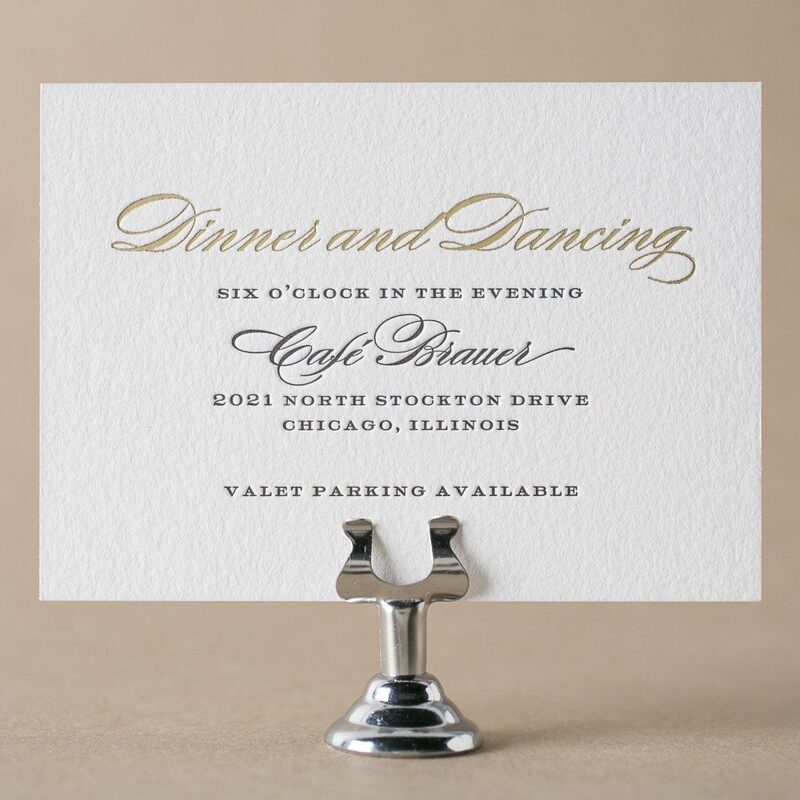 While it's fine to list this information on your invitation, a separate reception card is a great way to set the tone for your formal wedding, particularly if a dress code is to be mentioned. 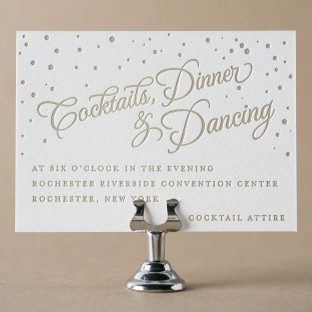 If your reception venue is well known, you can omit the street address — but if you think some of your guests might have trouble finding the venue, be sure to include it. In any case, leave the zip code off of the reception card — the only card a zip code should be listed on is a direction or accommodations card.